Unfortunately due to circumstances beyond Chin-Ups control, tomorrow’s event has had to be postponed. 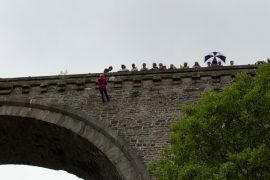 The event will go ahead in the next few weeks on Sunday 1st October, this date will be confirmed as soon as possible. Test yourself. 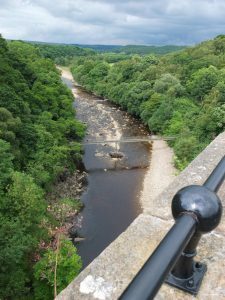 See wonderful views of the South Tyne valley from Lambley Viaduct. 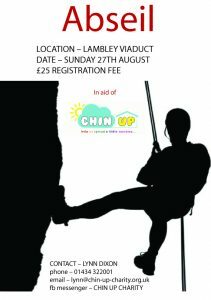 This year’s Chin Up Abseil will take place on Sunday 27th August 2017 at Lambley, near Haltwhistle. 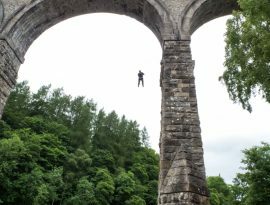 Registration fee is only £25 – POSTPONED. Contact Lynn Dixon for further details.